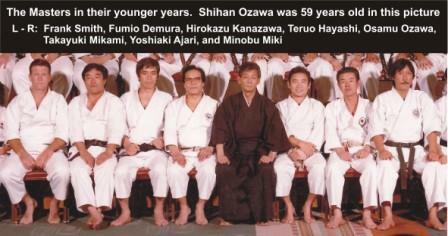 Shihan Osamu Ozawa was born of a samurai family on November 25, 1925 in Kobe, Japan. His family is believed to have descended from Takeda Shingen, one of Japan's most famous and brilliant warriors and it was into this great and famous samurai lineage that Haruo Ozawa, Master Ozawa's father, was born. The Ozawa family crest (mon) is indeed the famous Takeda bishi, or Takeda family symbol. 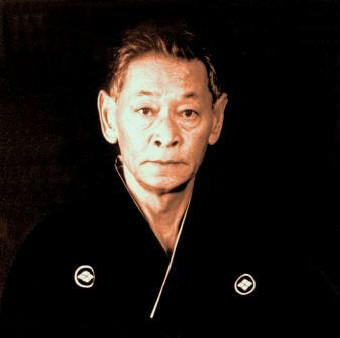 Master Ozawa was introduced to the art of karate in 1937 by his cousin Daiichiro Aizawa. He started his formal karate training at the age of thirteen in December 1938 when he sought out Kenwa Mabuni, founder of the Shito-ryu style of karate and trained under him for two years. In March 1942, at the age of 17, Master Ozawa entered Hosei University and was introduced to Shotokan karate when he joined the university karate team. 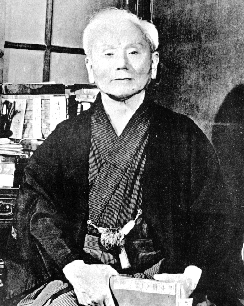 The chief instructor was Grand Master Gichin Funakoshi, founder of Shotokan Karate and the man who first formally introduced karate from Okinawa to Japan. In September 1944, Gichin Funakoshi promoted Master Ozawa to Shodan or 1st degree black belt. Japanese Navy drafted Master Ozawa where he enlisted as a Kamikaze. The kamikaze, which means “divine wind”, was an extremely elite force that was subjected to many intensive physical, psychological and emotional tests. The kamikaze trainees were sent to a secret air base and separated for very special training which began with repeated exercises of taking their planes and diving them very steeply toward the ground and pulling up at the last second. The kamikaze was assigned to a special dormitory, which was separate from the regular barracks on the base. At 4:00 o'clock in the morning on July 29, 1945, Master Ozawa along with four others solemnly drank their sake to the emperor one last time and climbed into their planes to meet their final destiny. His old airplane crashed shortly after take off and found himself twelve days later in a hospital with a punctured lung, broken eardrums and partial loss of vision. He was released from the hospital on October 15 and went directly to find his family in Kobe. In November 1946 after the war, Master Ozawa decided to go back to Hosei University where he started karate training again. In April 1949, the first organized collegiate karate demonstration was held in Tokyo where he was invited to discuss the future of collegiate karate. 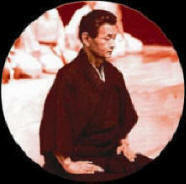 In November of 1954, Master Ozawa sponsored the biggest budo demonstration of its time in Japan. Over 10,000 spectators came to watch the demonstration by such prominent instructors such as Masatoshi Nakayama who became the technical director of the Japan Karate Association (JKA), Teruyuki Okazaki who is today the head of ISKF (International Shotokan Karate Federation), and many others. Ten years later on December 22, 1964 Master Ozawa came to the US to sell his film on the Nippon Budo Emaki, the largest-scale martial arts demonstration in the history of Japan, a fact that Master Ozawa was very proud of. In 1967 he opened a dojo in San Gabriel, California and in 1974 he moved to Las Vegas, Nevada. He opened the first pachinko parlor in Las Vegas at the Circus Circus Hotel and Casino but due to certain circumstances he had to close down his pachinko business . He then became employed as a Poker dealer in a few of the major Las Vegas hotels for several years before deciding to go back to karate to teach full time . Tournament at the Maxim Hotel and Casino. It was to help publicize and promote the new dojo. On this first tournament, only Shotokan karate instructors and competitors were invited. About a half dozen instructors, 30 competitors and about 150 spectators came to attend the one-day event. The second tournament was held at the Aladdin Hotel in November of 1982. The third tournament was staged back at the Maxim Hotel in November of 1983. This time it was fully opened to all traditional Japanese and Okinawan styles of karate. In this third event, about 40 instructors and 200 competitors attended. Also about 400 spectators watched the final competition, which consisted of very high quality matches. As Master Ozawa’s reputation for fairness and open-mindedness grew, so did the scale of the tournament. 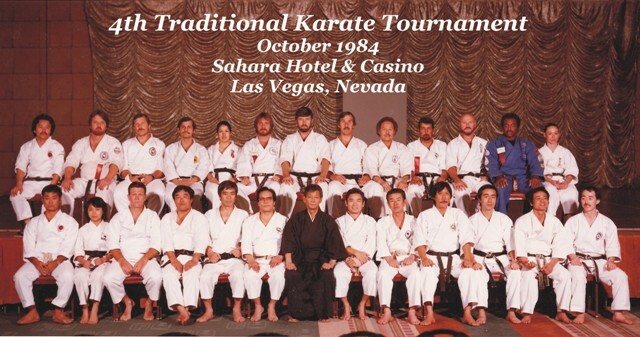 The fourth annual traditional tournament was held at the Sahara Hotel in October 1984 and it was a spectacular success. In this tournament, Master Ozawa was reunited with his great and long time friend, the legendary karate master, Hirokazu Kanazawa from Japan. The founder of Hayashi-ha Shito ryu, Soke Teruo Hayashi, also attended it. In this tournament, about 12 countries attended along with more than 60 instructors and 500 hundred competitors. The fifth annual tournament was held on January 1985 and it was officially dubbed "Traditional Karate Tournament International". This particular event clearly showed Master Ozawa’s determination to support all of traditional karate and not only Shotokan karate. The "5th Annual Traditional Karate Tournament International" drew 100 instructors, 1,000 competitors and 3,000 spectators. It was a phenomenal international event with contestants and instructors coming from the US, Canada, Mexico, Japan, South America, Central America and Europe. People from all over the world with such diverse background were very happy to make new friends, freely exchanged techniques, training methods and ideas together. For traditional karate, it was truly an unprecedented success not only in competition but also in style interaction. The "Traditional Karate Tournament International" went on as a success year after year. The 1989 tournament was one of the largest and most successful tournaments that the traditional world of karate has ever witnessed. Strongly supported by Kirin beer, Master Ozawa negotiated a deal with Bally’s Hotel, one of Las Vegas' largest hotels at that time, guaranteeing the hotel the rental of 400 rooms and also provided 50 rooms for distinguished guests and instructors at his own expense. Today, the annual “Traditional Karate Tournament International" is called the Ozawa Cup International Karate Tournament to honor Master Ozawa. It is one on the largest and most popular tournaments of its kind in the world. Competitors and instructors from the US and abroad target their sight on this event each year. Its success is due to the fair and open-minded atmosphere, high quality of competitors and officials, good strong bonds that are made between competitors and teammates, and the ideals that Master Ozawa promoted: Peace, Unity and Harmony amongst all the people training in any style of traditional karate. Isao Wada, Marlon Moore , Kenneth Rosson, Bernie Garcia, Tilly Garcia, Ray Hughes, ?, Robert Hunt, ?, Jeff Kohn, Paul Godshaw, Stanford McNeil, ?